Active club approaching approximately 300 volunteers, involved with many conservation oriented projects. We are a Not-for-Profit organization dedicated to the preservation, enhancement and promotion of the fish, fowl and wildlife in our area. We normally meet once a month, the last Thursday of the month, at our clubhouse starting at 7:30 pm sharp. We are always looking for new members to take on whatever roles they would like to share. 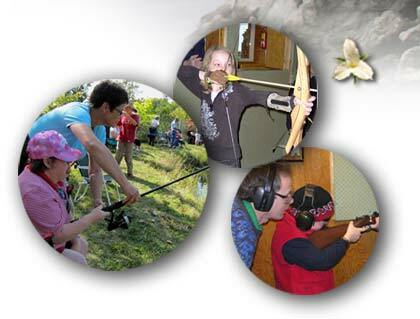 We boast facilities such as an approved indoor range, a trout hatchery and a comfortable clubhouse. Come on out to a meeting to find out more. Additional charge for Archery memberships, see form. New Handgun Club Applicants must attend the Club House for explanation of probation and fee schedule. Only in-person payments will be accepted for new Handgun Club memberships.